Below-average temperatures will continue to hold onto the Mid-South over the next several days with highs remaining in the lower to mid 40s and overnight lows in the mid 30s. The next few days will be characterized by scattered showers throughout the day, continuing into this weekend. There are some concerns about frozen precipitation Saturday night into Sunday morning, but more on this later. 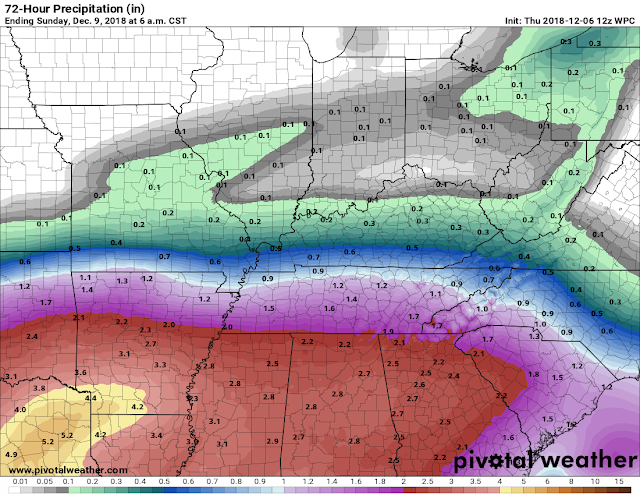 Overall, expect areas near and south of the metro area to receive more precipitation over the next few days with decreasing precipitation as you move northward. Some areas could see up to 2 to 3 inches of precipitation over the next few days (yes this is the rain-only form). We will continue our downward trend in temperatures today with highs only expected to reach 46. Cloudy skies will remain overhead as we prepare for scattered showers that will arrive by evening. Breezy winds around 10 mph could make things feel even colder at times today. Be sure to bundle up before heading out the door and you may want to grab the umbrella for this afternoon and evening. We will end this week with some pretty chilly and dreary conditions. Showers will begin to increase throughout the day Friday, continuing into the overnight hours Friday and into Saturday. Rain on both days will be a very cold rain, so keeping an umbrella handy will be ideal. Temperatures will stay just warm enough throughout both days that wintry precipitation is not a concern. Highs both days will be in the low 40s with overnight lows in the mid 30s, so temperatures will not vary too much through the day. Showers will continue through the early morning hours on Sunday and could *potentially* turn into light snow or freezing rain. The biggest concern with Sunday's forecast is where our temperatures will be. If surface temperatures can cool enough, then we could see some freezing rain. Temperatures just aloft will also be borderline for the potential for some light snow. It appears right now that there is a slightly better chance for light snow mixing with rain than freezing rain. It will remain cold on Sunday, with most of the day spent in the 30s. 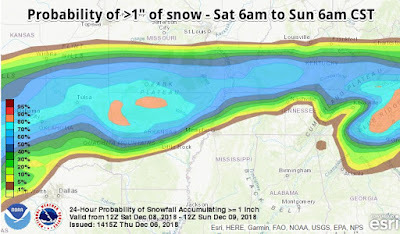 Those to the north of the metro area have the greatest chance of seeing freezing precipitation from Saturday into Sunday, as surface temperatures will be colder the farther north you move. If you have travel plans north of Memphis this weekend, keep that in mind. This is an evolving forecast that will need to be monitored over the next few days. 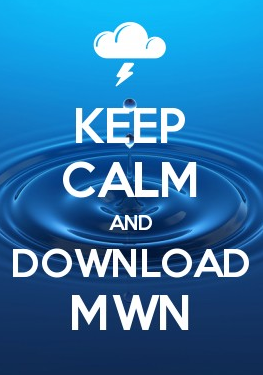 For latest trends and thinking, be sure to check out our social media accounts (linked below) and the MWN forecast online and on our app. 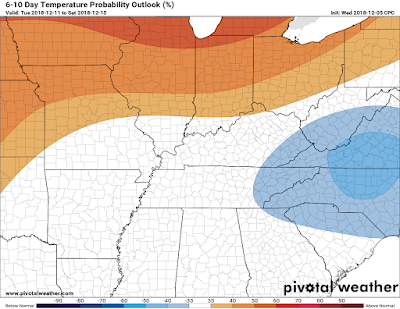 Things will remain around to slightly below average early next week. For those curious, around this time of year our "average" high temperatures is in the low 50s with our "average" low temperature in the mid 30s. Later next week, we will begin to warm slightly with highs nearing the upper 40s to lower 50s. Overnight lows will be in the low to mid 30s. This will leave us right around that average category. Through the first half of next week, we should remain dry with plenty of sunshine for all.